It’s been a while since we’ve shared an update about our Native Cane Restoration Project! 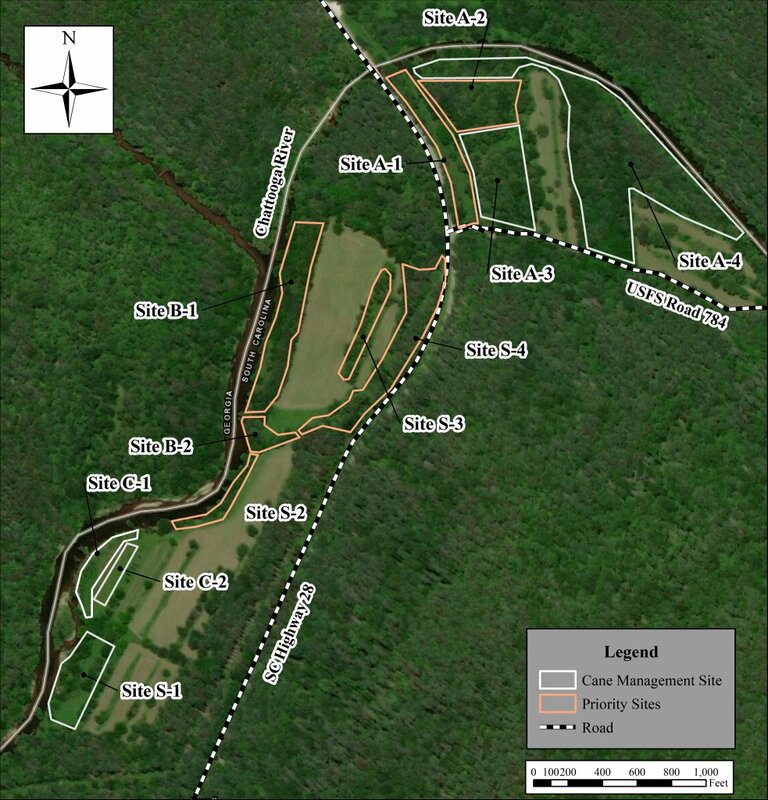 This multi-year project, initiated in 2012, is a collaborative effort with the Eastern Band of the Cherokee Indians, the Revitalization of Traditional Cherokee Artisan Resources, and the Andrew Pickens (AP) Ranger District to proactively manage and restore approximately 29 acres of native river cane habitat along the Chattooga River in South Carolina. Native canebrakes are one of the most endangered ecosystems in the Southeast. 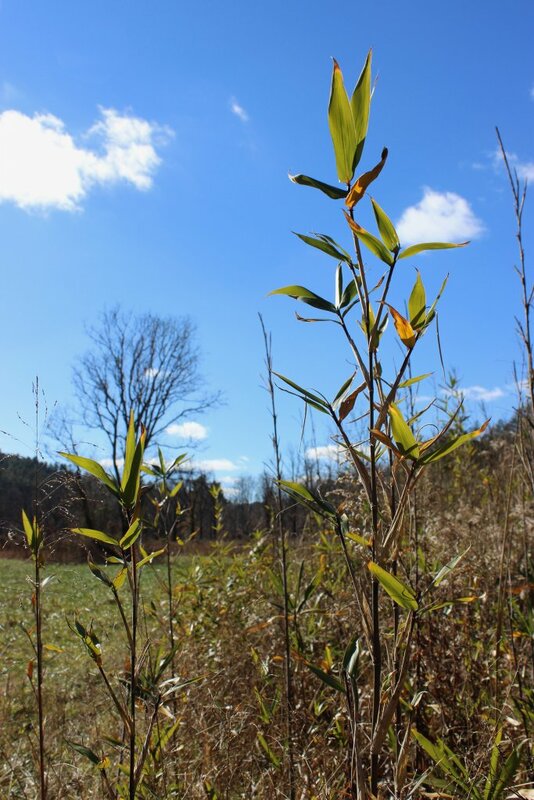 Restoration will enhance habitat for native species and provide a sustainable source of native river cane for use by Cherokee artisans. Success with this project would also restore the largest canebrake ecosystem in the Southeast. 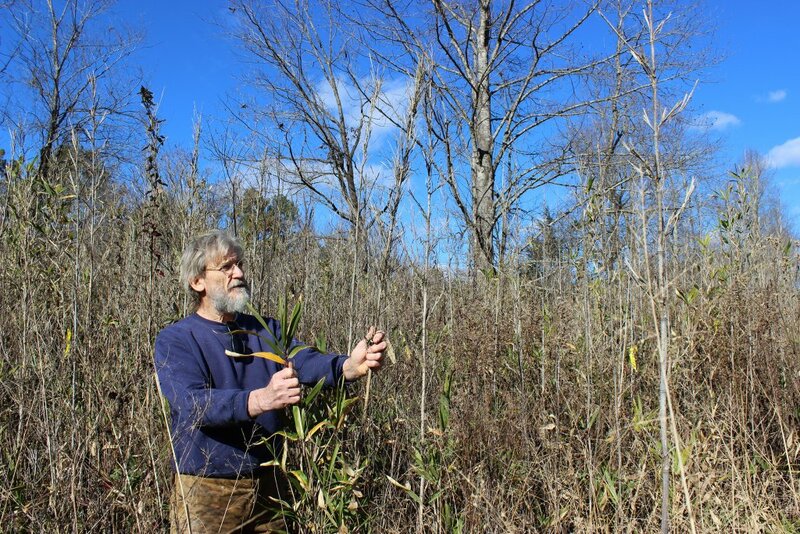 While burning may sound counterproductive, some studies have suggested that it actually helps cane grow, with new stalks sprouting and growing up to one meter per year after a burn. 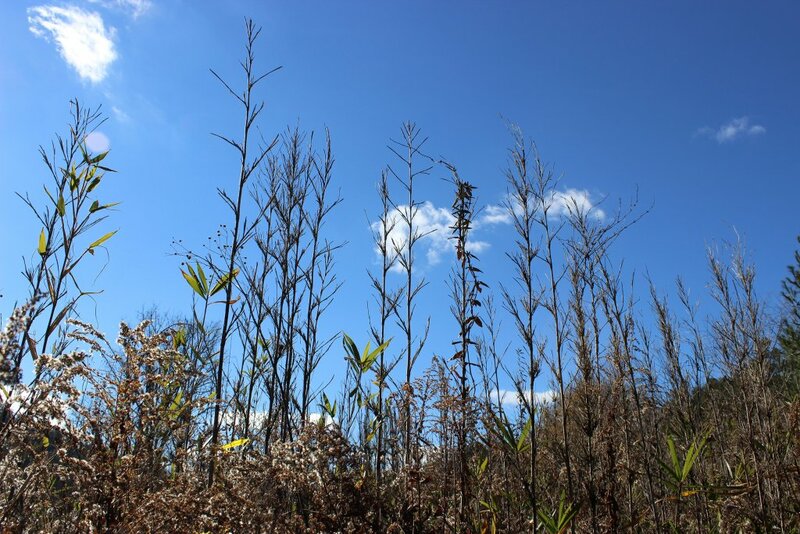 In some cases, it may even rejuvenate cane stalks that are dying out. However, allowing a fire to burn too hot could have adverse effects on the cane, burning stalks to the point that they are killed. Unfortunately, this is what happened in certain areas of the project site. The white pines were cut in a patch just upstream of the bridge. Clearing space in the canopy allows more sunlight to reach the cane stalks, which is expected to promote growth. To study the effectiveness of these management practices, we have established monitoring plots within the priority sites. We headed out to the cane sites in early December to set up the plots and begin collecting data. Each monitoring plot is a circle with a 24′ diameter, located in an area that appeared representative of the conditions of the site as a whole. We then counted all of the cane stalks, or culms, within each plot and recorded the number of these that were living and dead to determine a survival rate following implementation of management practices. We’ll continue to regularly monitor the sites as the project progresses. If you’re interested in visiting the cane sites or would like to learn more, send us an email to info@chattoogariver.org!